Pregnancy can be a time of great lifestyle changes. Even though pregnant women are notorious for having food cravings, many people use it as an opportunity to eat healthier foods. You are growing a baby, after all! Your body is providing the building blocks to build a whole other person–heart, lungs, skin, brain and all! Your body will take what it needs to build a baby, but you may be left feeling crummy and deficient in lots of essential vitamins and minerals without a healthy diet. It is an undeniable fact that green vegetables are the most beneficial food on earth as they are filled with essential nutrients and vitamins that are required by the human body. Cooked spinach and other green vegetables have high levels of iron, folate, and calcium. 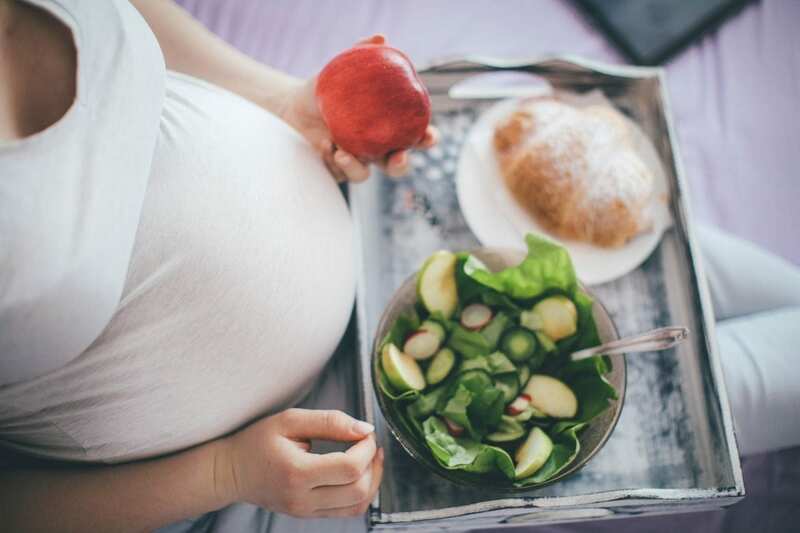 If you want to make this pregnancy a healthy one, we suggest you add some greens to your meals or simply put some raw spinach in your sandwich! I am sure you are a fan of eating fruits and even if you don’t like fruits, don’t worry because we are just asking you to eat oranges, in particular. Oranges are a good source of fiber, folate and Vitamin C. Vitamin C is extra important during pregnancy since you’re slightly immunocompromised, and Vitamin C boosts the immune system! And oranges are 90% of water, so your daily fluid intake can also be fulfilled with the consumption of oranges. You can add some salt to oranges in order to make it taste better and you can enjoy eating them knowing you’re providing your baby with the nutrients he/she needs to grow. Eggs are the best source of nutrients and proteins. They contain all the essential amino acids that your body will need during the growth of your baby, making them what we call a “complete protein.” Eggs are great in early pregnancy, since high levels of protein will help stabilize your blood sugar and curb morning sickness. The fats found in cheese will help to keep you feeling full longer, and will also help to stabalize your blood sugar, much like protein. Win all around for cutting down on the pregnancy queasies. Eating cheese will also help with your daily calcium requirements, essential for keeping your muscles (read: your uterus) calm and relaxed. Your blood volume actually doubles during pregnancy, making it more likely that you become anemic by 28 weeks gestation. Your iron intake during pregnancy is so important. Lean meat is a great source of protein and will definitely help with your iron levels. Bonus points if you cook it in a cast iron skillet! We know we told you that oranges are what you need to consume must during your pregnancy, but bananas are amazing too! Bananas are rich in potassium and they are the best to fight your pregnancy fatigue. Bananas can also help ward off pesky false labor contractions that are due to dehydration and uterine irritation. Try introducing one of these power foods into every one of your snacks and meals each day. You’ll be feeling great knowing you’re nourishing both your and baby’s body.